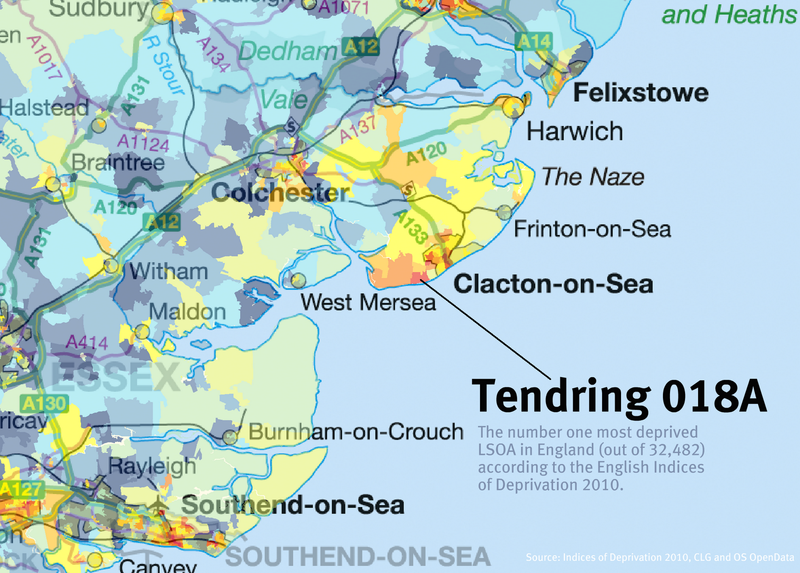 English Indices of Deprivation 2010 - A North-South Divide? I've also put together an animation showing the 1%, 2%, 3%, etc. 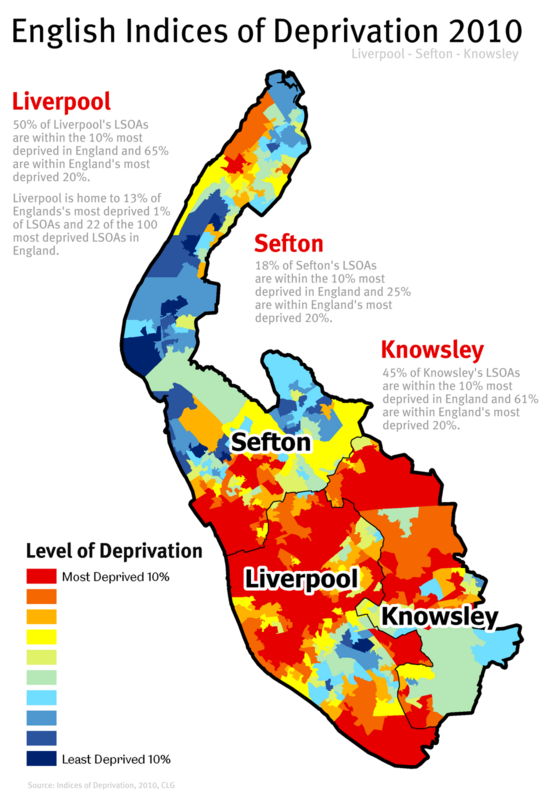 most deprived areas all the way up to the 10% most deprived - and then the 10% least deprived (as in the map above) in order to demonstrate the general north-south divide. Notice how the cities of Liverpool and Manchester in particular dominate these patterns. If you want to control the animation, you can hit pause then move the slider along the time bar yourself (the video may take a moment to load). This version is just a small blog size version - I've also posted a larger version on my University of Sheffield pages. 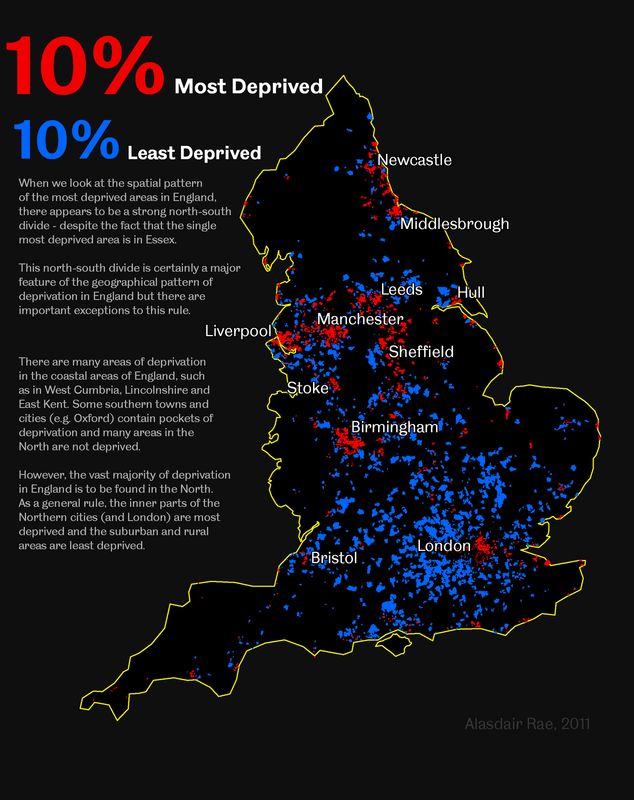 So, in contrast to the headlines, it seems clear that deprivation remains more firmly entrenched in the north than in the south (with some exceptions of course). 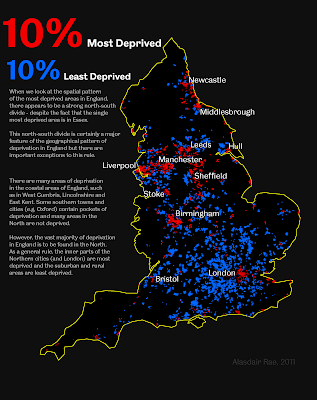 The English Indices of Deprivation 2010 were published this morning. Previous Indices were published in 2000, 2004 and 2007. I've decided to do a few posts on this because I find it very interesting and it does have real implications in relation to policy. 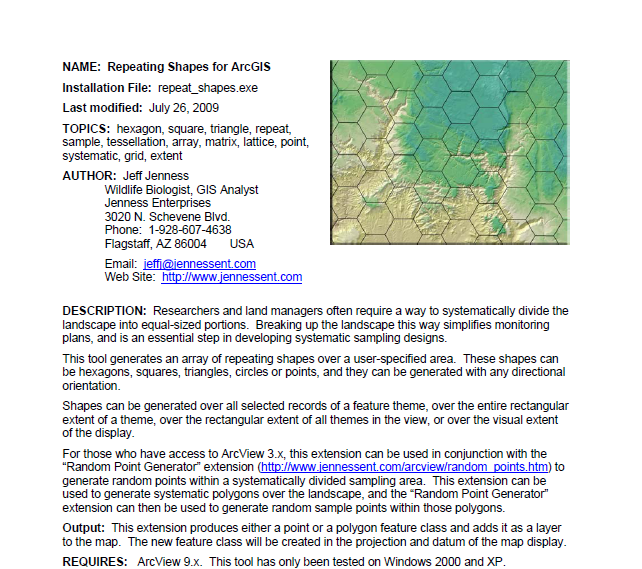 In this post, I've done some basic mapping and analysis (click on any map to view it full size). 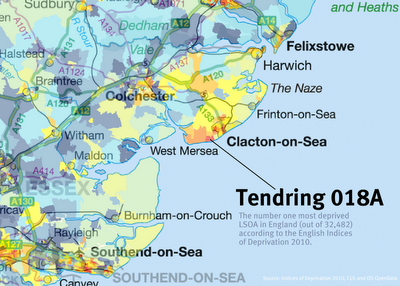 A quick snapshot first: the most deprived LSOA is in Tendring, Essex. It used to be in Liverpool. Overall, Liverpool, Middlesbrough, Manchester, Knowsley, Hull, Hackney and Tower Hamlets remain the most deprived local authorities. So, no major surprises. 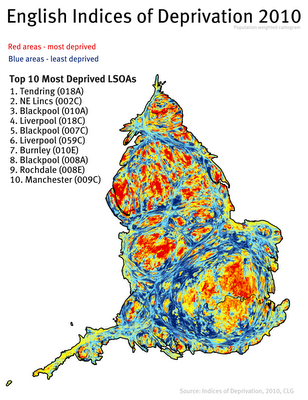 Overview for the whole of England, with a list of top ten most deprived LSOAs. Overview cartogram for England, with a list of top ten most deprived LSOAs. Detailed map showing location of the most deprived LSOA in England. 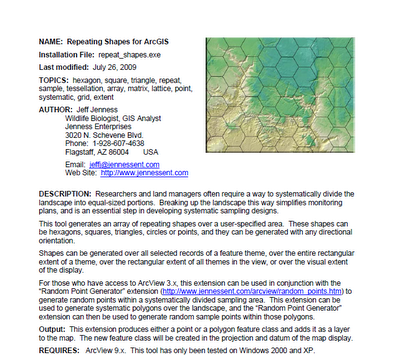 A zoomable google map version of the above, for good measure. A more focused map of Merseyside, showing Liverpool, Sefton and Knowsley. 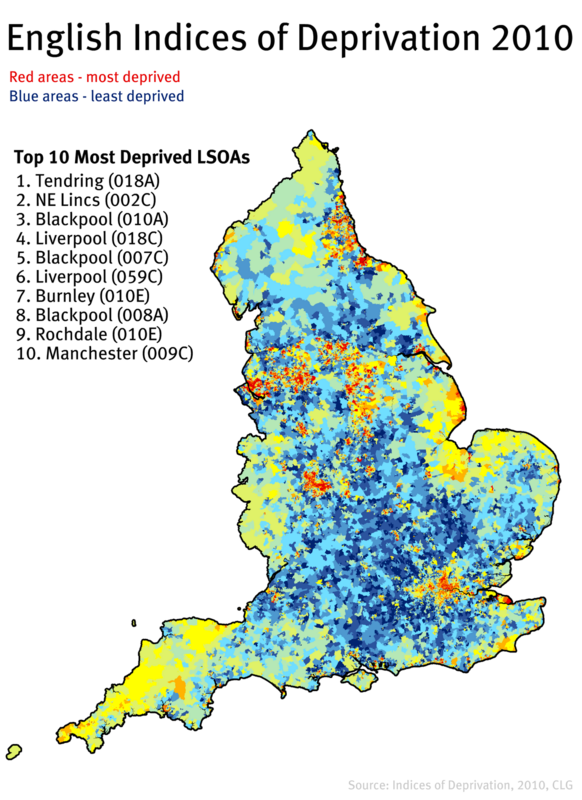 Note: The Indices of Deprivation 2010 are produced for small areas called LSOAs. These lower layer super output areas are not 'neighbourhoods' in a formal sense but they often have a high degree of internal similarity. The average population of an LSOA is about 1500 and in total there are 32,482 of them in England. The data used in the Indices are mostly from 2008 but you can read more about this in the technical report. Clicking on the graphic will take you to the google chart where you can turn different countries on and off by ticking the boxes. This makes it easy to compare data on population change from 1960 to 2009 (as below). The data are from the World Development Indicators of The World Bank. But what if you want to know about the future. 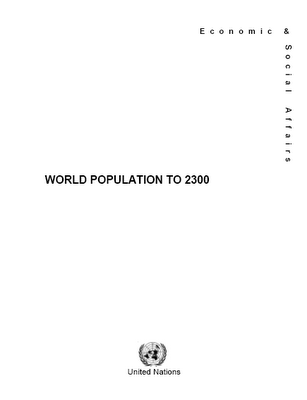 Well, there are lots of projections for different countries, but I don't think there are any that go as far as the 2004 report from the United Nations, entitled World Population 2300. Yes, the year 2300.